Kim Bhasin / Business InsiderMore shopping is done on iOS versus Android. IBM is tracking online holiday shopping this year through a partnership with over 8,000 brands. For data nerds, it has some interesting insights. For everyone else, it’s a good look at how shopping habits have changed over the years, especially on smartphones and tablets. And it really points out some of the key differences between how Android device owners use their smartphones and tablets versus iOS owners. 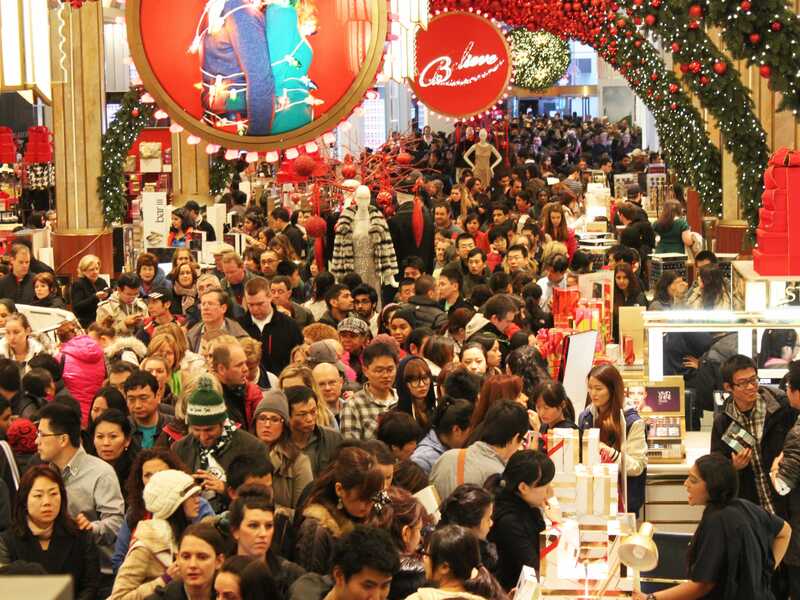 According to IBM, online shopping on Thanksgiving day was up 14.3% versus last year. Over half (52.1%) of traffic to shopping sites came from mobile devices, up 22.4% from last year. And 32.3% of sales were completed on mobile devices, up 25.4% from last year. But what’s really interesting is the difference between how iOS and Android users shop. IBM’s report says the average iOS user spent $US118.57 per order on Thanksgiving. The average Android user spent $US95.25 per order. While those amounts aren’t far off from each other, there were far more iOS users completing purchases compared to Android users. iOS made up 25.2% (over a quarter) of all online sales on Thanksgiving day. Android only accounted for 6.9%. IBM’s shopping data backs up mountains of other signals we have that even though Android has over 80% of the global smartphone market share, people don’t use those devices to browse the web, buy apps, and shop online like iOS users do. That’s part of the reason why app developers still choose to make their best apps for iOS over Android. They know that even though they might not be reaching as many customers, they’re more likely to make more money from an iOS user than an Android user. Ashish Toshniwal, CEO of app strategy firm Y Media Labs that’s consulted companies such as PayPal and Shutterstock, told Business Insider in a previous interview that iOS users are “used to paying more” for apps compared to Android users. Some people think that because Android has such a massive market share, it will eventually become the platform of choice for developers and eventually start generating more revenue per user. But so far none of the data has shown that. In fact, it’s the opposite. iOS continues to generate a lot more activity than Android. The mobile platform war is still young, but it’s now clear it’s much different than the desktop PC war. IBM will track online shopping through Black Friday and Cyber Monday, so we should have a clearer picture of how people are shopping after the weekend.